Grab a tissue for this one. 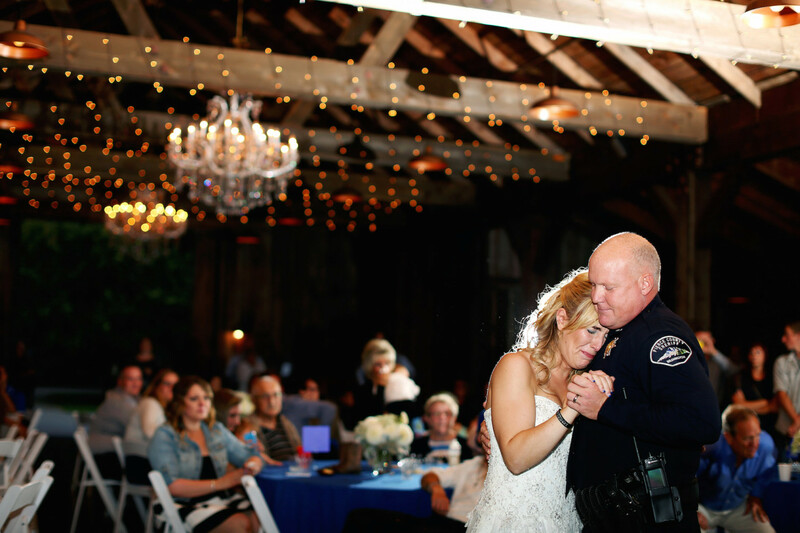 The father-daughter dance at a wedding reception is notorious for making everyone teary-eyed. 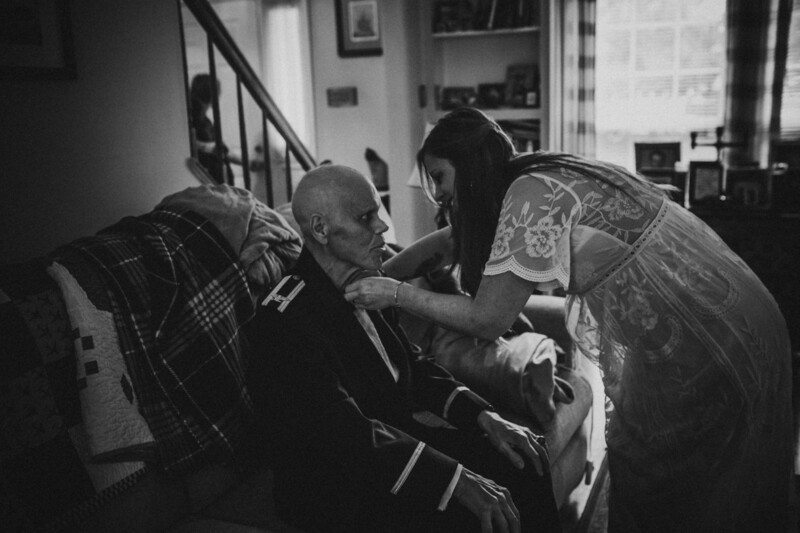 But for one bride-to-be and her beloved dad, this tradition was even more of an emotional experience than usual. 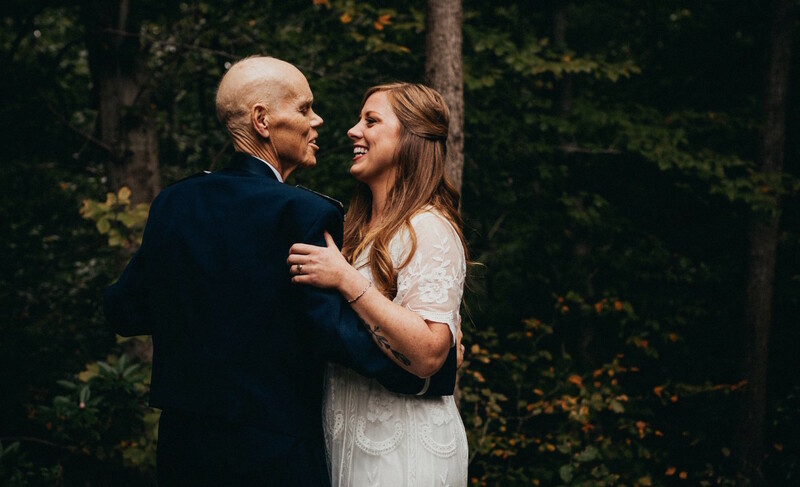 Their special moment didn’t take place on the dance floor — or even on the bride’s wedding day. 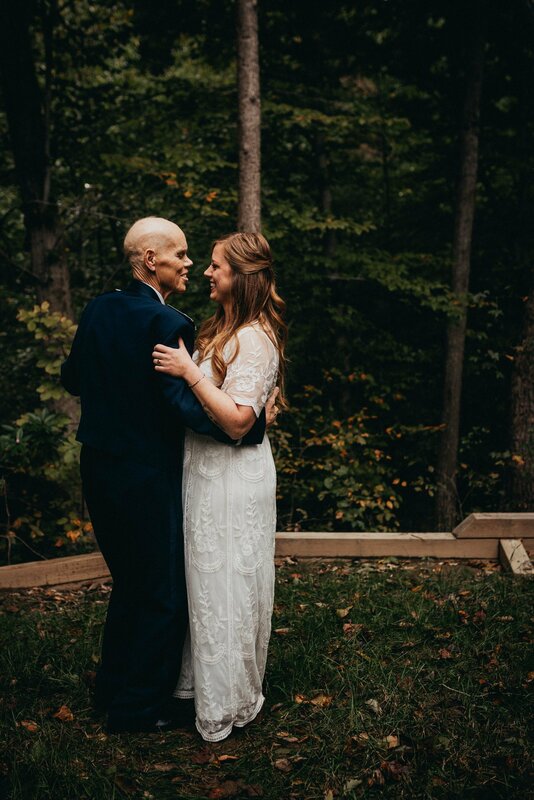 It happened in the backyard of the house the bride grew up in, and it was beautifully captured by professional photographer Bonnie Turner. 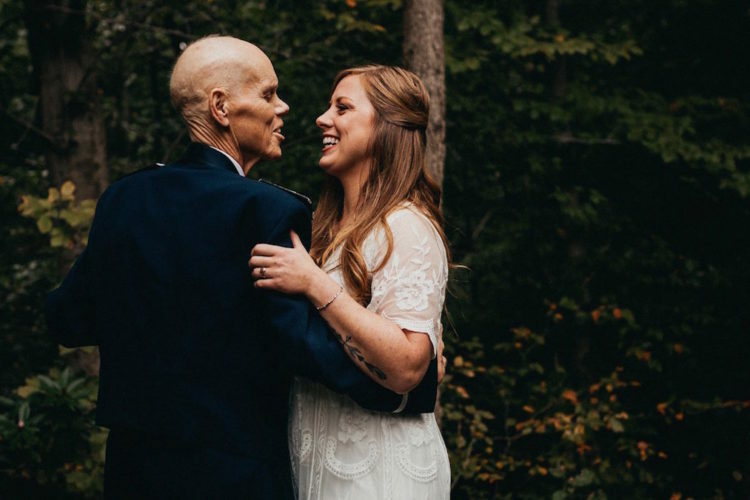 Bonnie then received an email from Becky with what the bride-to-be described as a “huge ask.” She revealed that her father, Tim, had been fighting prostate cancer and that he was about to go into hospice care. 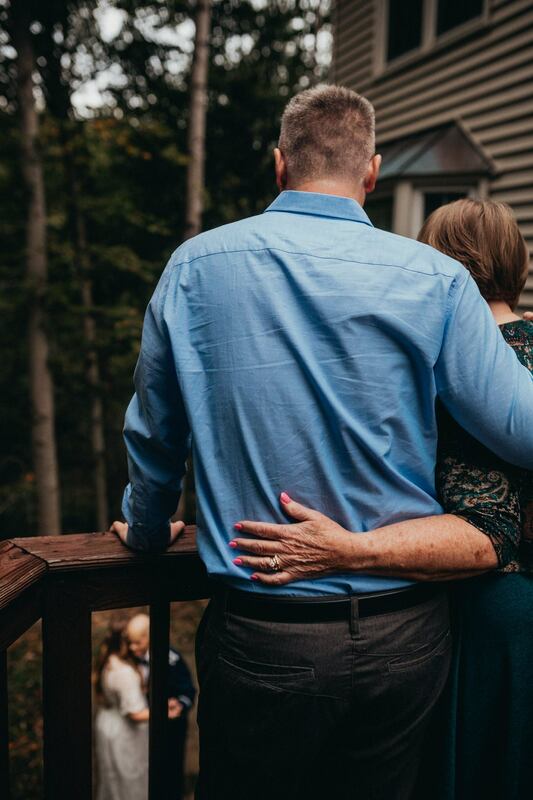 The favor she wanted was for Bonnie to use the deposit the groom-to-be, Matt, had given her to do a family photo session instead of an engagement shoot. Becky explained that the couple would worry about their engagement photos later because time was of the essence. Becky told Bonnie that they had managed to arrange for a videographer friend to visit her parents’ house in Woodbridge, Virginia (where she grew up) that weekend. It was a request Bonnie couldn’t refuse, and she joined the family at home in Virginia in November 2018 for a very special photo shoot. 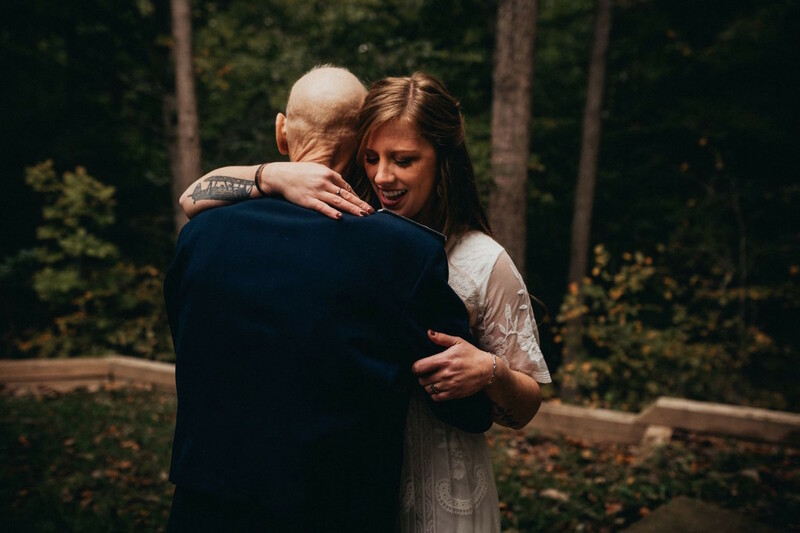 Becky and Tim had their father-daughter dance in the back yard, and the photographer captured the moment in a series of stunning images for them to treasure forever. 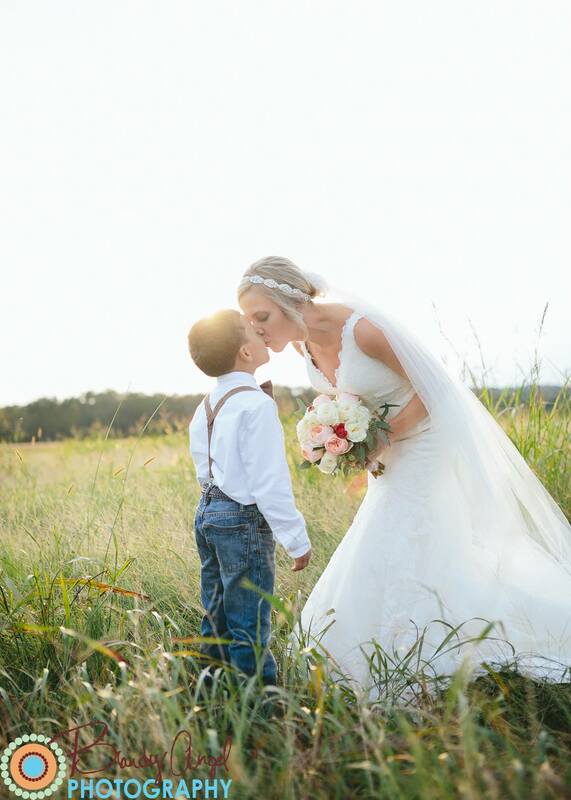 In her Love What Matters story, Bonnie described how much the photos mean to the Carey family. Five months after the shoot, on March 29, 2019, Tim died. 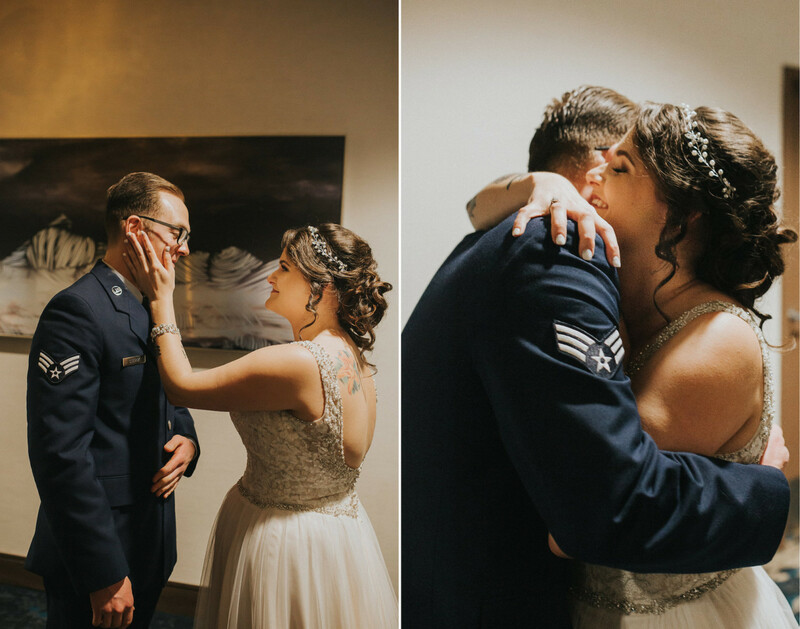 Bonnie shared the photos of Tim and Becky’s first dance on Facebook together with Becky’s email to her, and it quickly went viral. 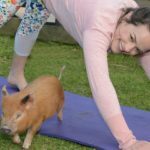 People from all over the world liked, shared and commented on the images, expressing their sympathy for the Carey family. 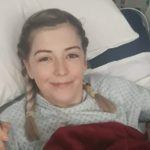 Bonnie also set up a GoFundMe page for the Carey family to raise money for Matt and Becky’s wedding, as well as medical, funeral and home expenses. 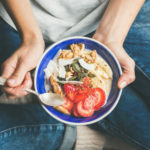 “Tim and Becky shared those photos together for 5 months until his passing on March 29, 2019,” the photographer wrote on the fundraising page. “Any help will be appreciated to this amazing family. Thank you for your sweet words, love and sincere hearts.” To date, The Carey Family Memorial Fund has received more than $2,500 in donations. 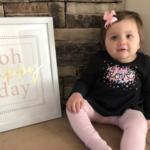 The love for the Carey family continues to grow as more and more people learn their story and see Bonnie’s powerful images across the internet. Another wedding Bonnie captured recently was that of Lauren and Cullen, who have known each other since they were kids but didn’t fall in love until 2017. 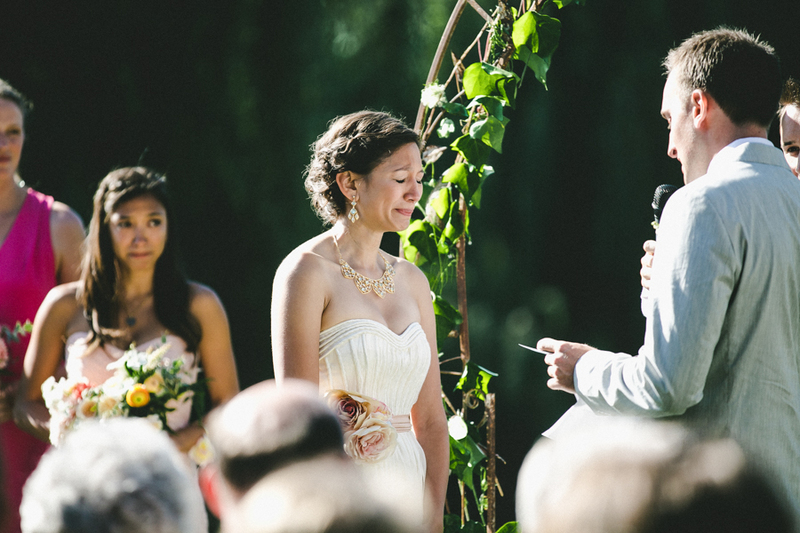 From early on, the couple knew what kind of wedding they didn’t want. 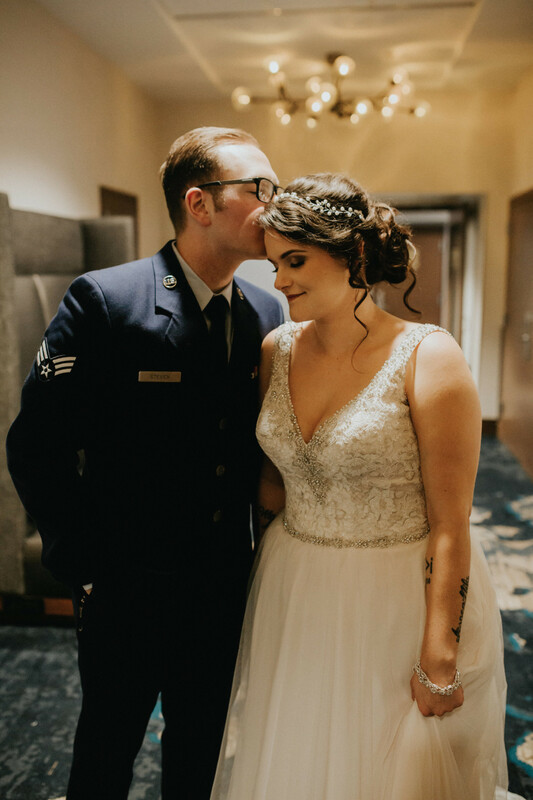 Lauren and Cullen originally wanted to get married on a cliff side in Shenandoah National Park, where they had hiked before, but on their chosen date Cullen had to leave for an Air Force training deployment. 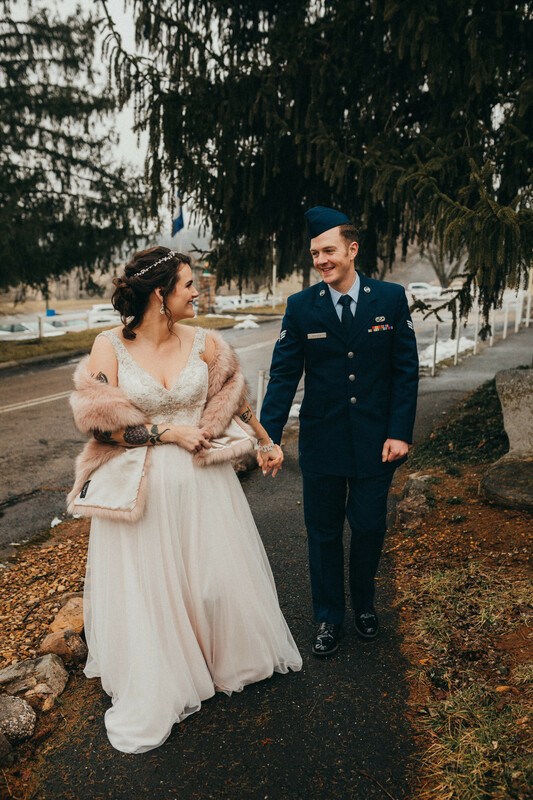 Lauren still wanted the location to be out of the ordinary, so she contacted Shenandoah Caverns in Quicksburg, Virginia, and arranged an elopement. When it came to their wedding photographer, Lauren, a photographer herself, knew Bonnie was the right choice. Sometimes, the mere mention of a lost loved one can be enough to reduce a wedding party to tears. That’s exactly what happened when Todd and Tamara Rakow said their vows at their 2014 wedding. 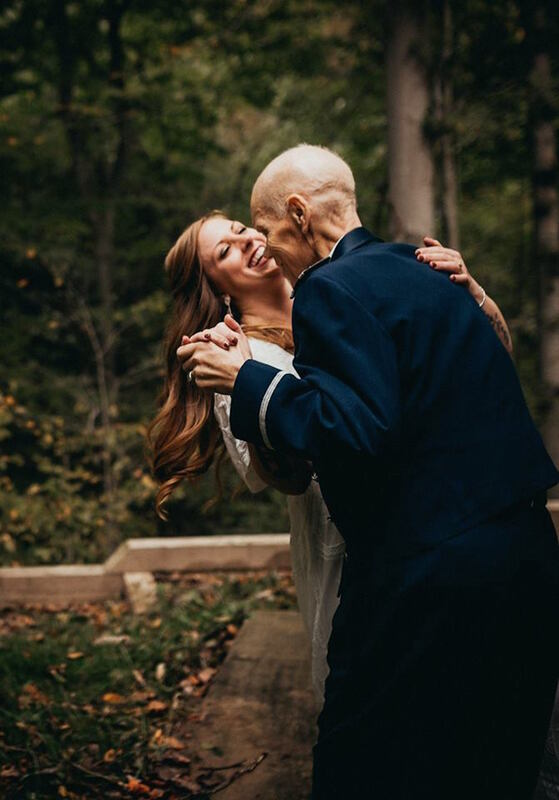 Todd promised his bride that he would “be the man your father would have wanted you to marry,” and the moving moment was captured by photographer Bethany Carlson. 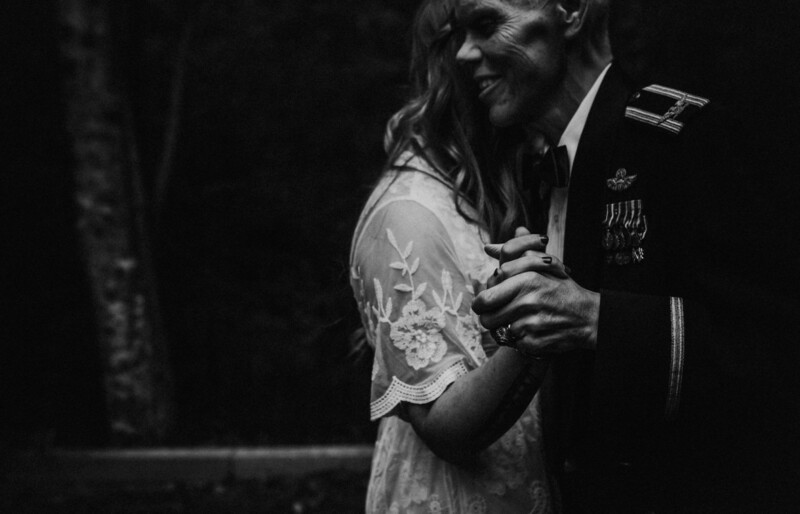 Of course, wedding photos can be anything you want them to be. 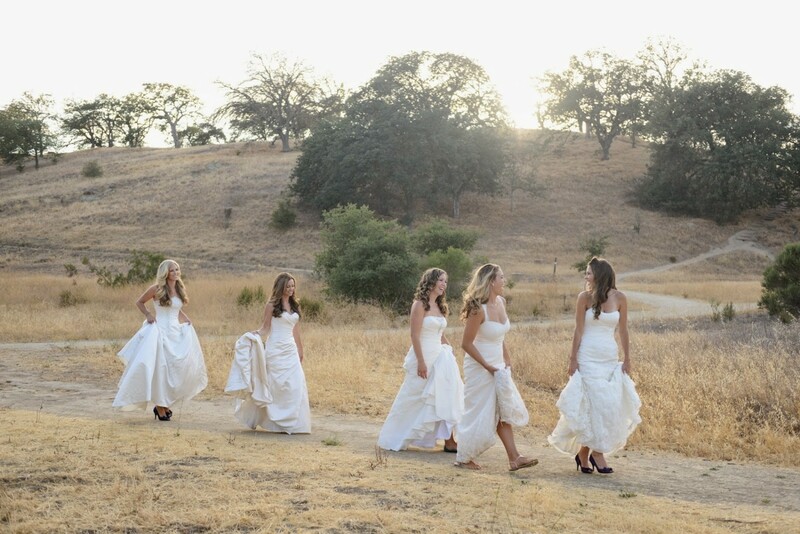 Sisters Lindsay, Becky, Kelly, Cassie, and Jamie — all née Walitsch — didn’t all get married on the same day, but they put their bridal gowns back on for a special shoot to pay tribute to their parents and thank them for supporting their dreams — and paying for their weddings. This special shot was snapped by photographer Rachel Blackwell. 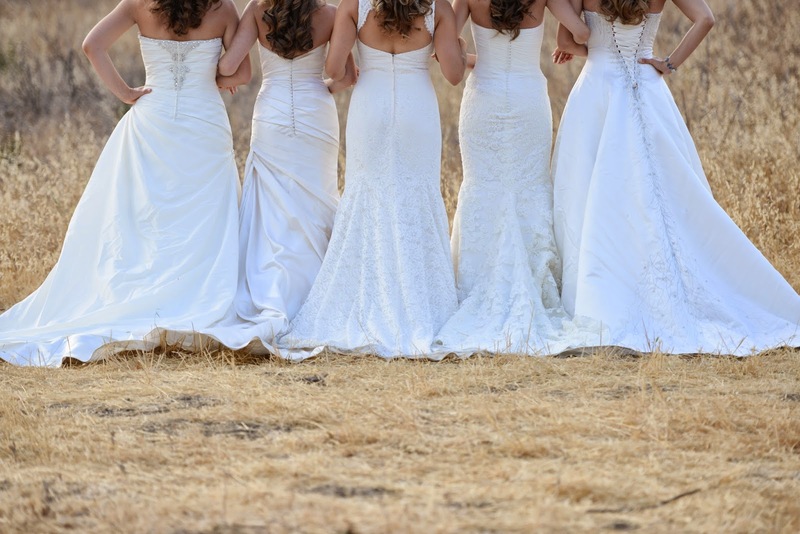 The sisters posed for the surprise shoot with the San Francisco-based photographer only a week after the last of the sisters, Jamie, was married, in June 2014. 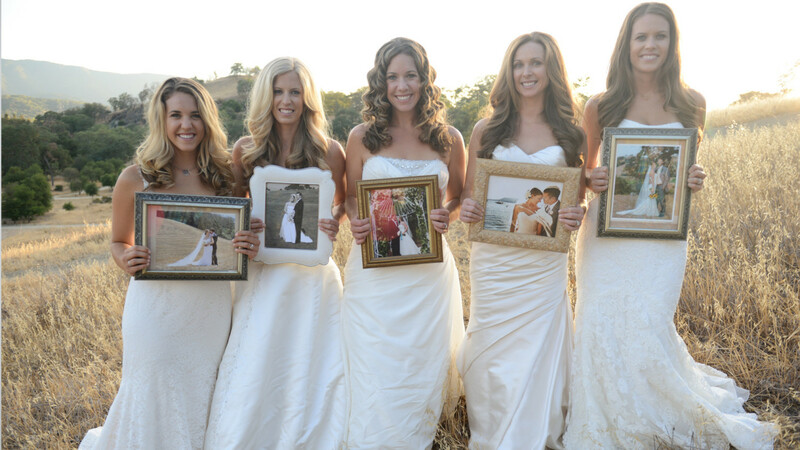 Blackwell captured the love between the five sisters in a creative series of shots, which included the women holding framed photographs from each of their weddings, and taking a walk through the Northern California countryside. “[Cassie] pitched me the idea about six months before Jamie’s wedding, and we put the shoot on the calendar for one week after, like the day after she came home from her honeymoon,” Blackwell told BuzzFeed. They wanted to move quickly, because the chance of none of the five sisters being pregnant at the same time was pretty slim — and in fact, Blackwell revealed that four of the five of them did get pregnant in the months following the shoot. 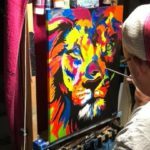 Before he moved out of the house he once shared with his late wife, Ali, Ben Nunery paid tribute to her memory in a creative way. 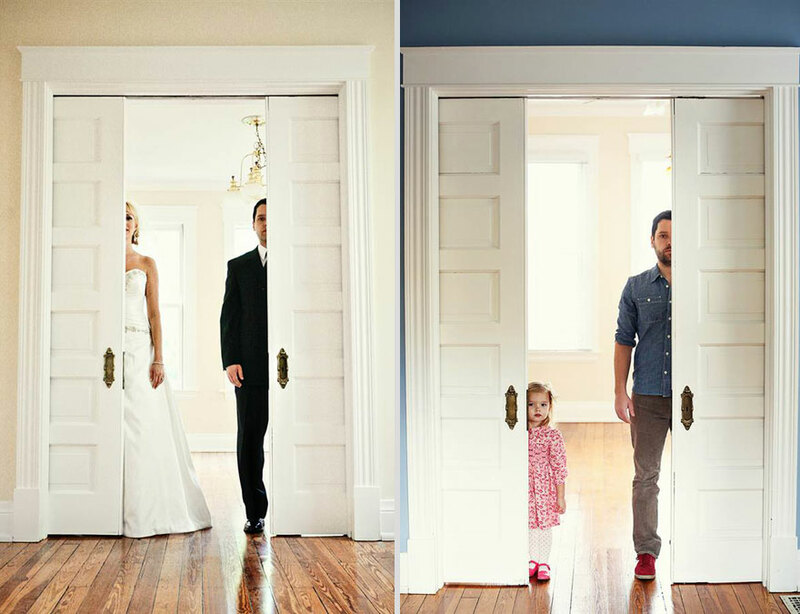 With the help of his 3-year-old daughter, Olivia, he recreated the photographs taken in their home on the couple’s wedding day. 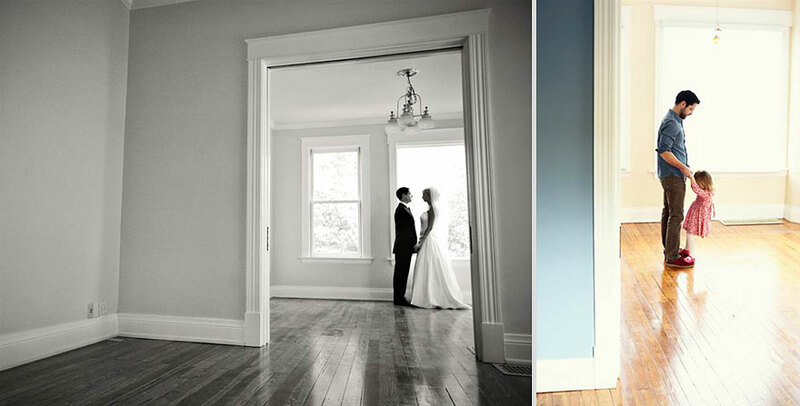 They had bought the house in Cincinnati only the day before the wedding, so it was still empty — a blank slate for their stunning images. With the house empty once again in preparation for the imminent move, Ben and Olivia recreated the sweet moments shared by the newlyweds, with the help of Ben’s sister-in-law, professional photographer Melanie Tracy Pace of Loft Three Photography, who shot Ben and Ali’s original wedding photos in 2009. “I was just really looking for a way to say farewell to the house, and have some things that Olivia and I can have to… remember the house,” Ben told Today.com. Ben described how special the photo shoot was. Melanie also felt a closeness to her sister during the shoot. One sweet picture shows Ben and Olivia playing on the stairs — the same stairs Ali walked down toward her new husband in 2009. When the images from the shoot were shared online, they created a huge buzz, which Ben found heartening. 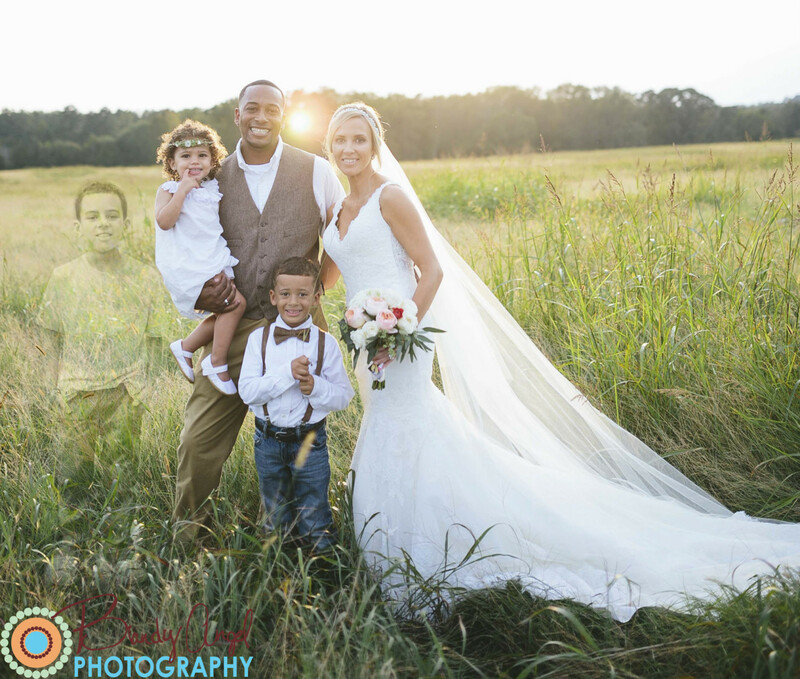 Another wedding photograph guaranteed to create a lump in the throat is Pulitzer Prize-nominated photographer Brandy Angel‘s very moving image of Anna Bozman Thompson, her husband Travis and their three children, including their son Lake, who had died of acute myeloid leukemia (AML) six months before the wedding and only weeks before his ninth birthday. “It’s one of my favorites of all time,” Angel said of the image. In a post on a Facebook page set up to support Lake during his illness, Anna wrote, “[The photos] turned out beautiful and thanks to my amazing photographer she was able to get some special edits done. I needed this picture more than she or anyone could ever know. THIS is my family. And we will be together again.” The Thompsons and Angel continue to support other families through difficult times and raise awareness and funds through the Brandy Angel Foundation and United for a CURE. 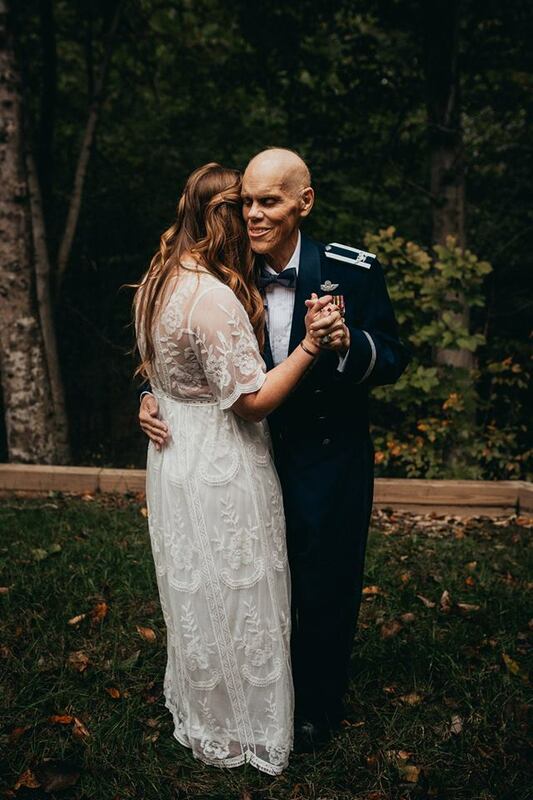 When Kirsten Mundell got married, her dad wasn’t there to dance with her. Pierce County Deputy Sheriff Kent Mundell was killed in the line of duty in 2009 when Kirsten was only 16. 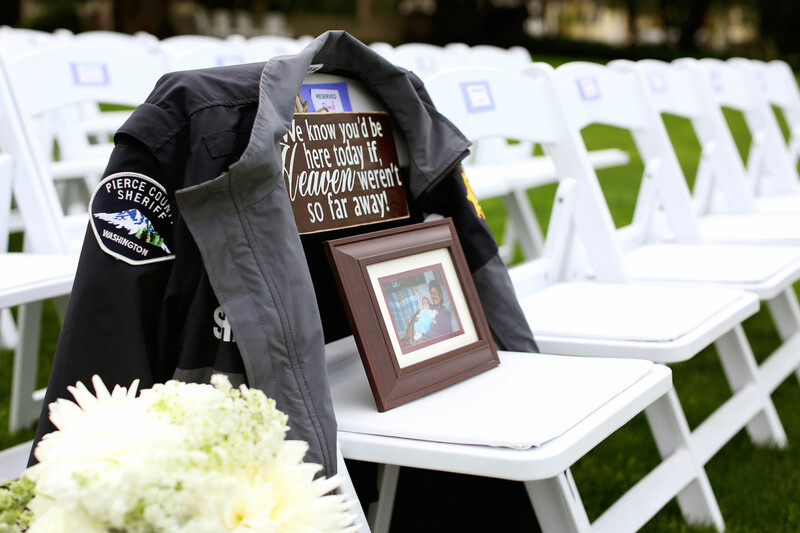 Six years later, at her wedding, she was walked down the aisle by Detective Don Jones. 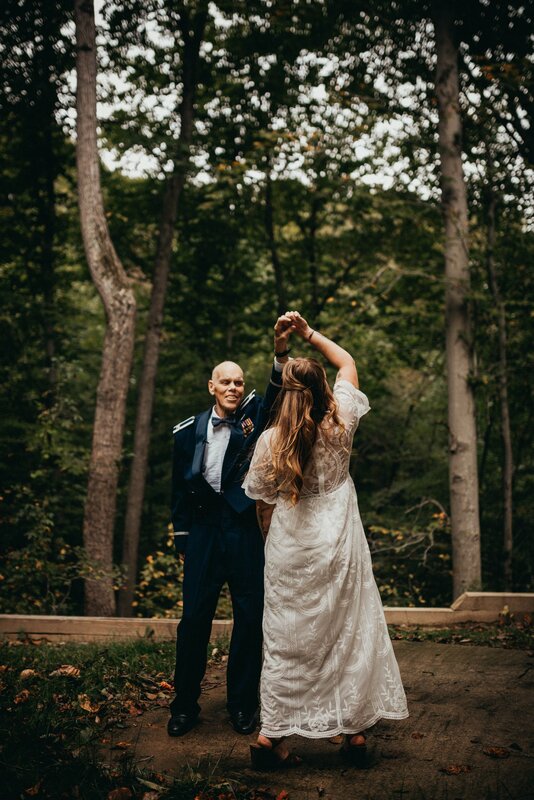 Jones later asked Kirsten to share a father-daughter dance — but he wasn’t the only one. Four officers, all former colleagues of her father’s, did what they could to fill the fallen deputy’s dancing shoes.